Ref. 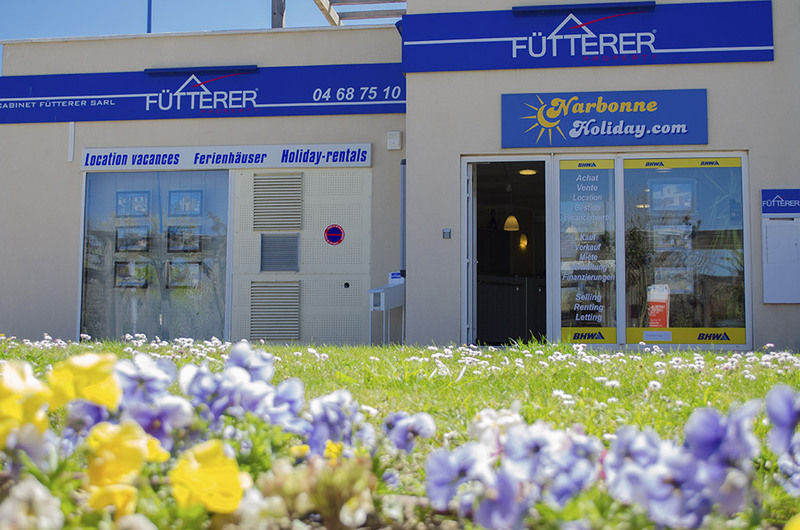 2994 - Fütterer Property presents in Salles d'Aude : In a village all trade with medical services, kindergarten and primary school 15 minutes from the beaches and Narbonne, a village house consisting of 6 rooms on two floors with a garage and an outside. On the ground floor : an entrance overlooking the living room with fireplace. A fully equipped open kitchen and a dining room giving access to an outdoor terrace of about 40 m² facing south. Garage of 22 m² attached to the house. An independent toilet. Access to the floor can be done either side dining room or side living room. On the floor, a big mezzanine with velux and toilet, a room with a room of water, a second room and a room of water with toilet. On the 2nd floor, a room of 32 m² converted into a large bedroom but can also act as a games room. Each floor has reversible air conditioning, all north side windows are pvc, double glazing with electric shutters. Many fitted cupboards. The facades have been redone.